App testing is an important part of mobile app development which helps to improve customer experience and enhance the user engagement. Manual testing and automated testing play an important role to ensure that the app delivers to its potential. Every app submitted on the app store wanted a pie of the cake. But, all of them are unable to get a top spot in app downloads, user’s engagement, user’s retention and user’s reviews and ratings. What’s the solution? Testing is the answer to all the mentioned concerns. It all rests on the shoulders of QA engineers and app testers. In today’s app development ecosystem, testing is no more optional but all-important to test the app for the unfortunate consequences like- crashing, performance issues, battery drainage, and others it may face. Richard Branson, the founder of the Virgin Group stated that a good reputation precedes you, but a bad reputation will follow you for a long time. It takes years to build a strong rapport with people and just seconds to lose it. So is the event with mobile app testing that’s an indispensable part of the app development which lets the app attain a state of perfection. Needless to say, the job QA and tester directly impacts the app and UX the app will deliver. The best testing team is the in-charge of making the customers happier to the core. In the last decade, the amazing innovations and releases are seen on the mobile devices. Talking about the mobile devices, for iOS we have limited devices, but when Android is considered, there is a big number. It multiplies the problems by many folds as testing on every device is a daunting task. Ignoring a mobile interface to check means launching the app in the market that’s not sure to run impeccably on all the devices. There is no way to get out of the device fragmentation issue other than testing the app on all the devices with different screen resolutions and specifications. In the fast-paced world, everyone considers the alternative of getting the work done at speed. The app testing is no different. 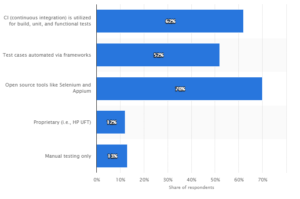 Often, along with real device testing, the emulators and simulators are preferred, but ignoring the real device testing is not a mindful decision. It’s true, with simulators and emulators, it becomes easy to test the functionality when the device is not available or testing the user interface in the beginning or when ease of device accessibility is considered, but they have their own limitations. No emulation tool can completely replicate the experience that interaction with physical device offer. Testing the app on real devices is a must-have, which provide insights into various things such as how the application work under optimal network conditions, how it interacts with the mobile gestures and sensors- GPS, Accelerometer, proximity, gyroscope, force touch and life sensors, and how the third-party libraries communicate with hardware features. In addition, setting up the mobile environment 24/7 and testing the app on an updated OS version is mandatory. On a whole, there is no winner, or either proposition will work. The right balance of real-device and emulator testing should be kept throughout the development, integration and deployment process. Sticking to a linear rigid process never brought never lets you remove the kink in the user experience. Presently, no app can live without iterations. These are necessary during app development to make the app reach a state of perfection and create a magical experience for the users. It’s possible with analytics that helps in identifying the areasthat are working well and which needs to be fixed to maximize the outcome. The testers should analyze the user’s metrics like- session time, retention rate, infuriating touch points and others to make the app successful. No doubt, the repetitive iterations make the testers eyes bleed but bring the polished product in the end. Basically, the manual testing and automated testing are highly used in the mobile app testing to ensure app’s credibility based on functionality, usability, consistency, and security are up to the mark in distinct situations and on different OSs. There is a long list of testing tools for iOS apps, Android apps and web apps, which at the end confuse the users as to go with whom. Create the app testing strategy keeping a fine balance of manual and automated testing with a clear picture of which set of features will be tested manually and which will be done using distinct automated testing tools. 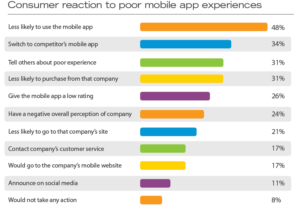 For instance, Appium is the best tool to test mobile, native and hybrid apps. 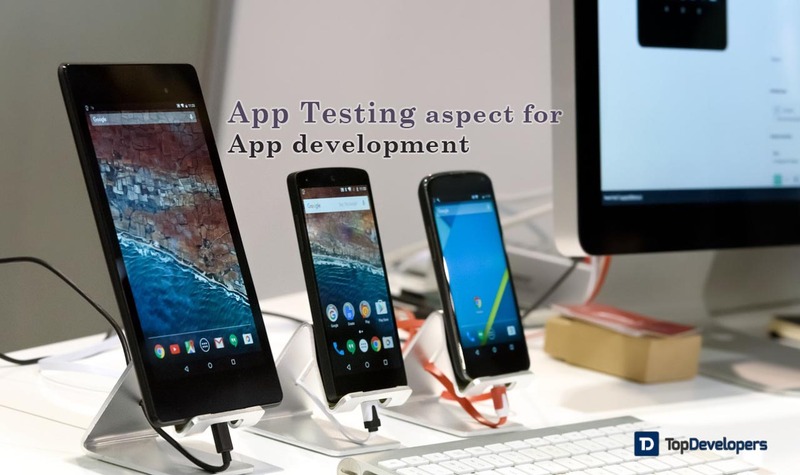 See Test is leveraged for continuous testing of mobile and web applications. App Dynamicsto monitor the app’s performance and real-time updates for the application management.Perfecto Mobile for the web, mobile, and IoT software testing. Don’t get confused and do the necessary research to decide which tool works best for your app’s different testing needs. The functional aspects of your mobile are no more enough that can quench the users. The new-gen users love your app if it’s easy to browse, seamless to navigate, load at speed and packed with brilliant graphics alongside carrying the usability quotient in the bag. Having a cool UI/UX is necessary which demand the testers to test the corology and user’s psychology relative to why the users like whatever they like and what matters to them in terms of outstanding UX. Make certain the app’s UI is clutter-free, appealing and jam-packed with the remarkable designs to stay synched with the user’s UI design expectations. The user experience can only be tested well by the second set of eyes, that’s beta testers. It’s important to see how the myriad of the users responds to the hard work of hours poured in the app coding. Collect the feedback, organize the response and then incorporate the changes that go perfectly well with the target audience. Mobile app testing carries less glory as opposed to app development and designing. However, the QA and testers are the unsung heroes of the mobile app development kingdom that can make or break the app’s success. When testing is done rightly, the app definitely gains the major user’s traction, delight the users when they interact with the app, enhance user’s engagement and make the user look forward to the app repetitively. On the other side, when it’s not done aptly, there exist opportunities for getting the app failure due to crashes, performance issues, poor UX or bugs. The latter one is a nightmare for the app from which every app revenue wants to maintain a distance. If we are not wrong, you are the one. If so, follow the 5 commandments of app testing that’s considered as less important to offer the experience to the users they crave for.